Claim Form – Complete the supplied claim form and return it to our office as promptly as possible. Quotes – Attach all original quotations obtained for replacement of, or repair to, the damaged / missing property. Photocopies are not always accepted. Proof – In some circumstances, the insurer may require a valuation or the receipt of purchase for a particular item. The original may be requested in certain circumstances. Report It – Advise the Police immediately in the event of loss by burglary, housebreaking, theft, suspected malicious damage or applicable motor vehicle accident.Note: Police reports can be very slow, so if you can obtain one at the time that the report is taken, valuable time will be saved. If a copy of the report can’t be obtained, take note of the report number. Third Party – If a Third Party is involved, attach the letter of demand and any other correspondence that you receive from them with your claim. Don’t Admit Liability – Do not make any admission of liability for loss or damage caused by you to the Third Parties. This is for the insurance company to determine. 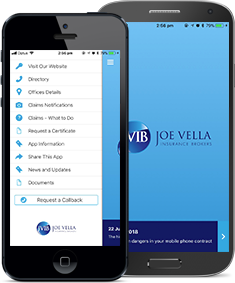 Submit the claim form to the Insurer or lodge it on-line. If the claim has not been paid within 30 days, we will contact the Insurer to ascertain why there has been a delay and advise you accordingly. We will then follow up the claim where and when necessary until settlement is reached, however, please feel free to contact us at any time. We will also assist you in the event of any negotiations with the insurer. An assessor is an individual/contractor who is appointed by the Insurer for their expertise in helping you finalise a larger or more difficult claim. They will interview and obtain details of a loss. They will also arrange for quotes and prepare the necessary paperwork. The assessor is your contact point. The assessor will write a report to the Insurer recommending a course of action. This can take time depending on their work load, speed of receiving the Police Reports and the complexity of your claim. The Insurer will not act until these reports are received and although not bound by the assessor’s recommendations, the Insurers usually accept these reports. If you are unhappy or confused with any aspect of the claim, advise the assessor. If he is unable to correct the problem then contact JVIB immediately. If you are unhappy with the Assessors’ responses, contact us immediately. JVIB take pride in all that they do but most of all, in looking after you.